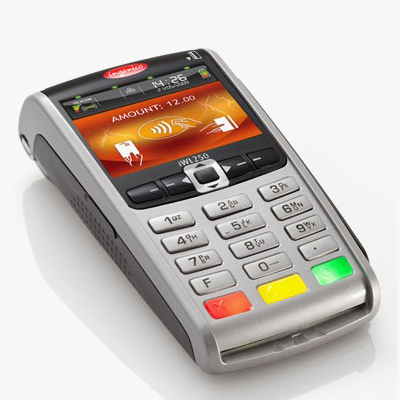 We offer a variety of payment terminals and PIN pads to fit your business needs. 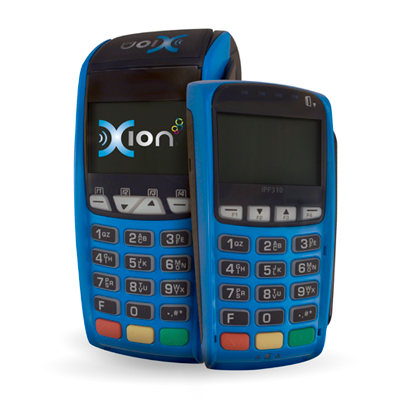 The Xion terminal allows you to EMV chip and magstripe credit card payments quickly and easily. In addition, the 3.5 model leverages NFC technology to support mobile payments including Apple Pay, Samsung Pay, Android Pay and more. This terminal provides your business flexibility with multiple payment options in an easy-to-use, secure terminal with optional customer-facing PIN Pad. The Xion is loaded with top of the line security, including PCI PED 3.0. With an outstanding vivid display and large buttons alongside a backlit keyboard, your staff will find this terminal user-friendly in accepting payments. The Ingenico iWL is a wireless terminal built to meet the latest security standards including EMV and PCI PTS version 3.0. It comes equipped with EMV and Mobile Contactless (NFC) technology, allowing you to accept multiple forms of payment from your customers. Long life battery allows for 650 transactions with a single charge. Accept payments in multiple locations within your business for easy payments at the counter, table, customer line, or drive through. Integrated printer is the fastest on the market – boasting 30 lines per second. 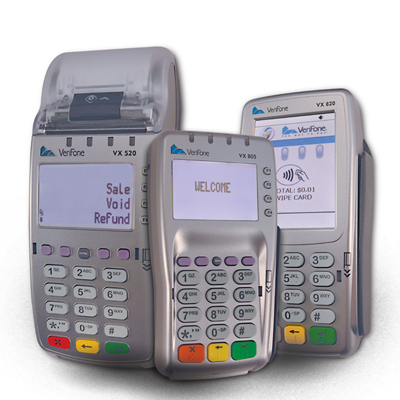 The Verifone VX 520 terminal comes built to last with fast processing, the latest security features, and multiple payment options, making it ideal for most businesses. NFC technology for mobile wallet acceptance. Quick payments get customers in and out of your business quickly. High Tech Security including PCI, PED 3.0 and is up to date with PIN security standards. End-to-end encrypted transactions allowing you to rest easy that transactions are safe. Easy visibility with a backlit screen that adjusts to multiple lighting situations. 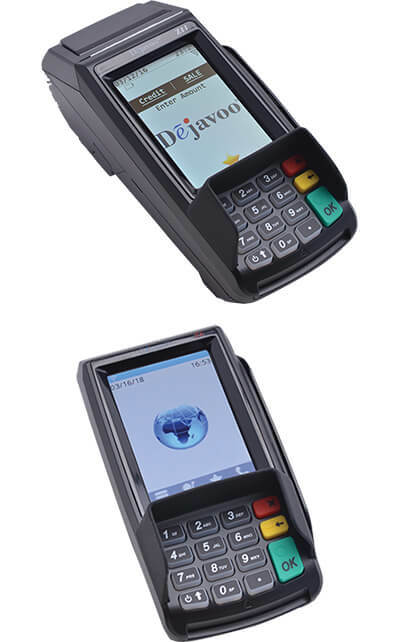 The Z11 Terminal and Z6 PIN Pad offer quick and secure payment processing with the flexibility and convenience of IP or WiFi communication. Dual-communication capability (IP & WiFi). Full color 3.5” LCD screen. EMV chip, magstripe, and keyed transactions supported. NFC contactless reader for mobile payments such as Apple Pay, Samsung Pay, and Google Wallet. Pair with the Z6 PIN pad for a convenient customer-facing solution. The Z6 PIN pad is a customer-facing device that connects with the Z11 Terminal. With the PIN pad, customers can keep their card in-hand at all times and swipe/tap/insert as well as key-in their PIN. Increase customer loyalty and brand recognition by offering gift cards at your business.